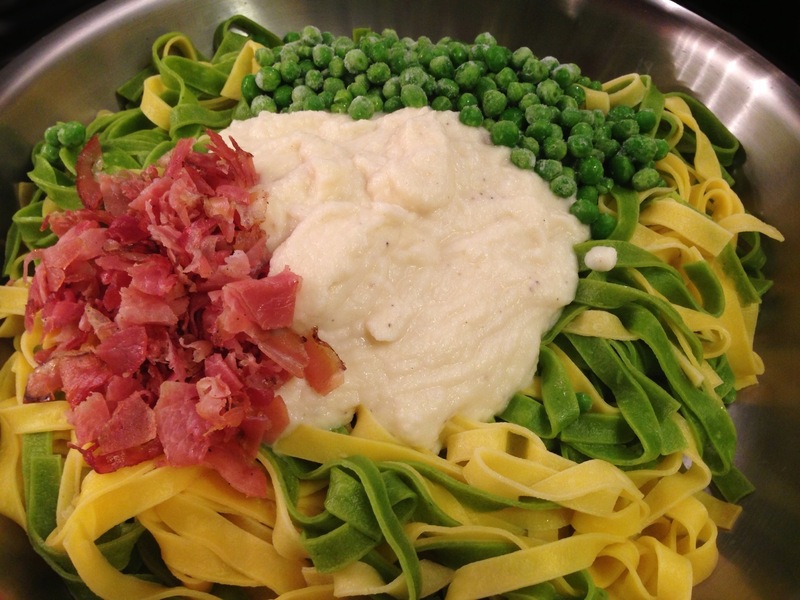 One of Mike’s favorite dishes is Fettuccine Alfredo. He says the word “fettuccine” in the most fantastic and ridiculous Italian accent which always makes me laugh. I wish I could insert a sound clip, as it is pretty amusing ;). I came across a healthier version of Alfredo sauce on Pinterest this week and had to try it out. 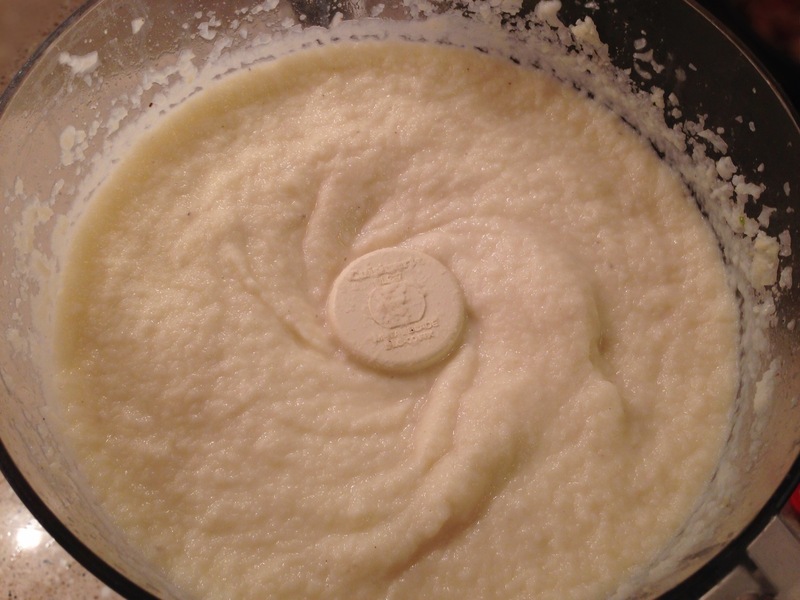 It uses cauliflower as its base and omits most of the butter and all the heavy cream. This sauce packs a lot of flavor and the consistency was pretty darn similar to the real deal alfredo sauce. Not only can you use this sauce for pasta, it can also be used to top your favorite rice or chicken dishes. 1) Melt butter. 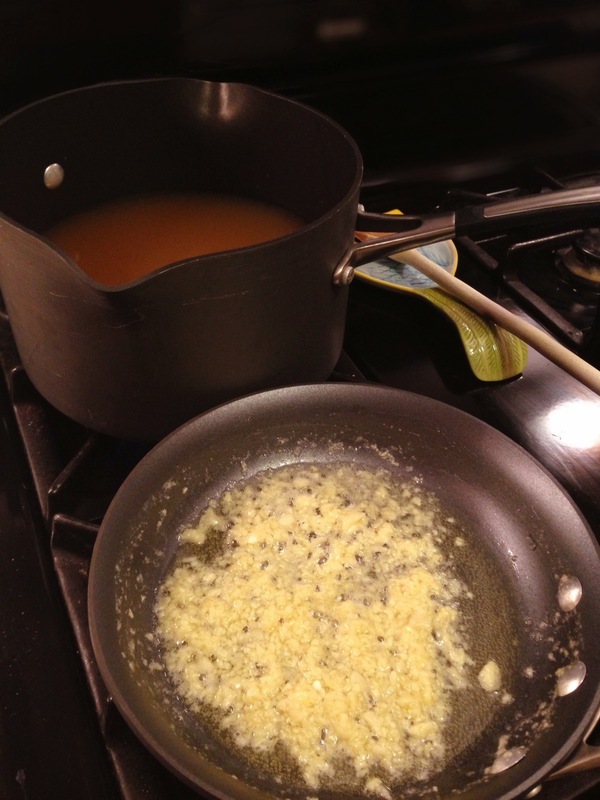 Saute the garlic with butter in a medium size skillet on low heat. (A few minutes will do) Don’t overcook garlic. If it starts to brown up, its overdone! 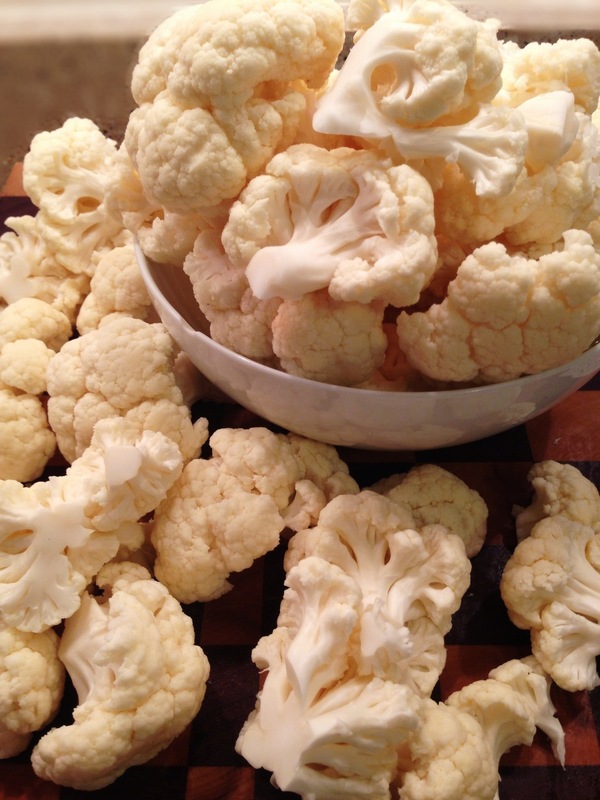 2) Cut cauliflower into florets. 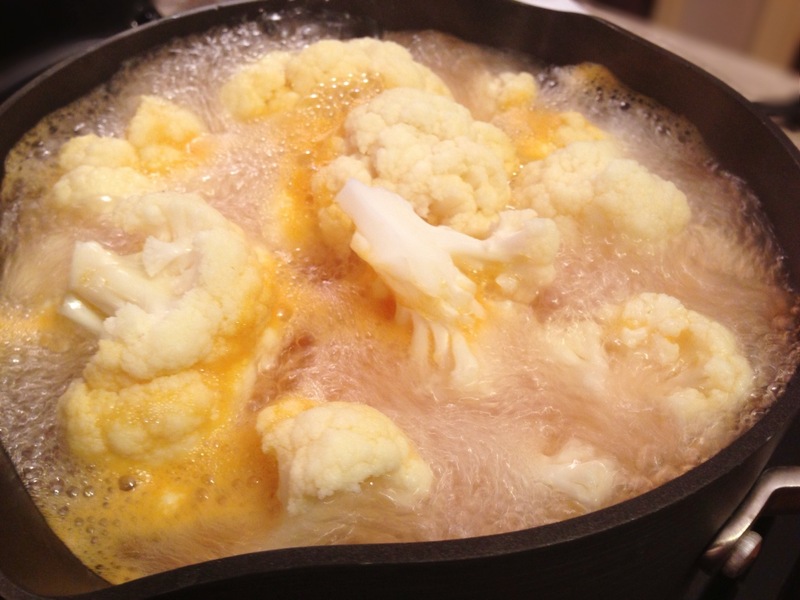 Boil cauliflower in vegetable broth or water for 10ish minutes or until you can pierce a fork through it easily . Remove from heat, do not drain. 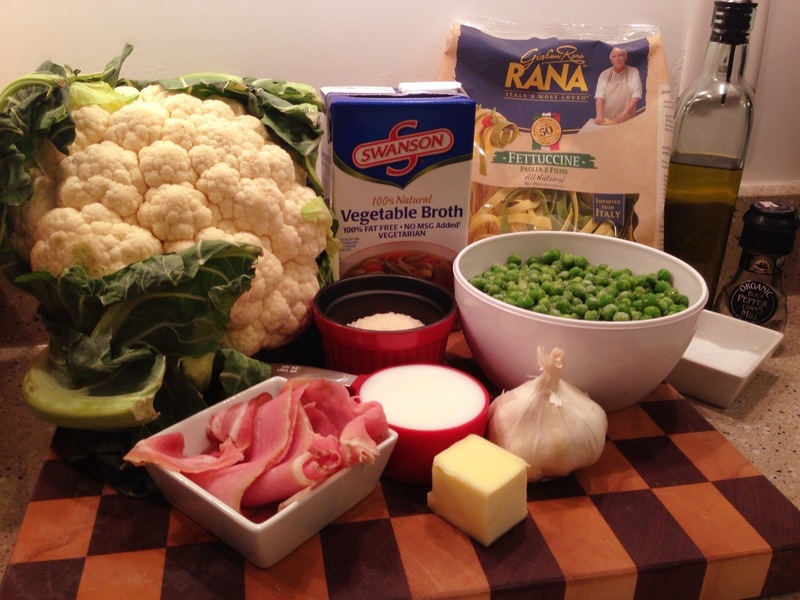 You will be using some of the cooking broth for the sauce. 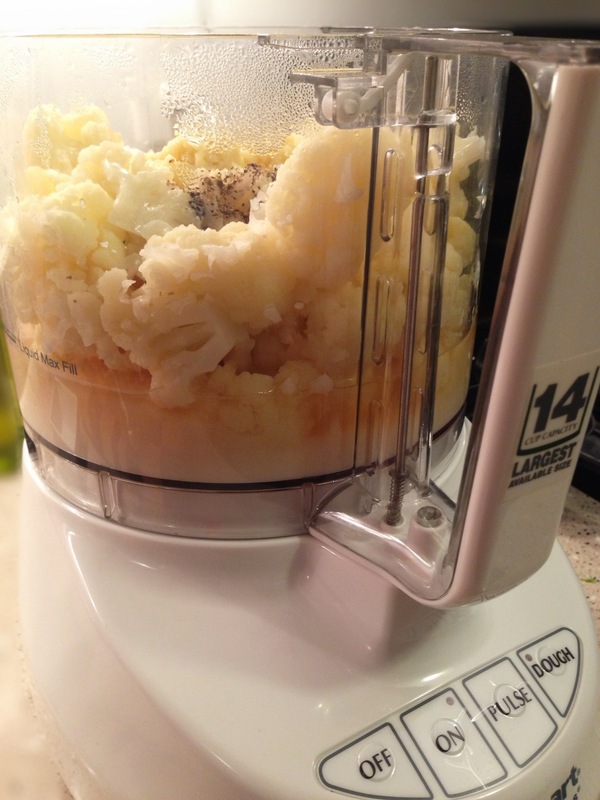 3) Use a slotted spoon to transfer cauliflower into food processor or blender. 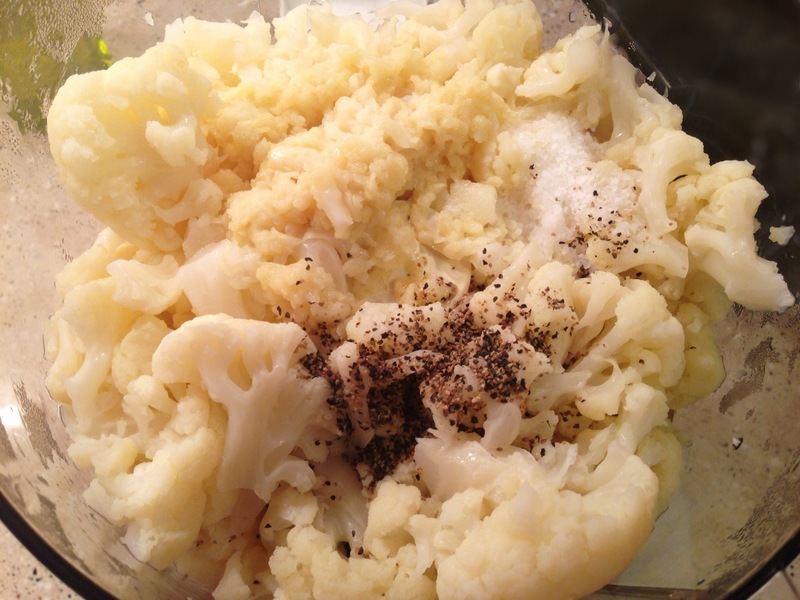 Add milk, sauteed garlic, salt, pepper and 1 cup of vegetable broth that you used to cook cauliflower. 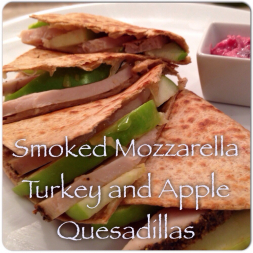 Blend for 2-3 minutes or until creamy and delicious. 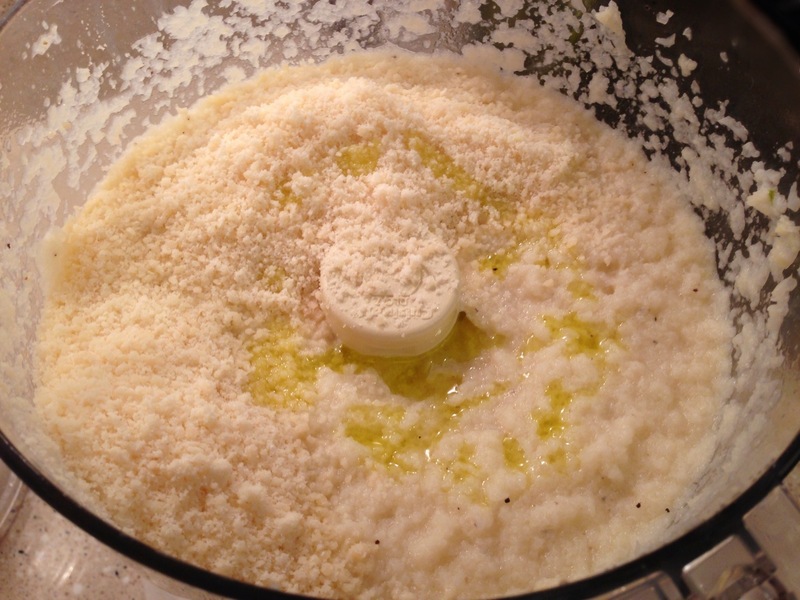 4) If so desired, add 1/2 cup of parmsean cheese and a splash of olive oil to the creamy mixuture and blend together for an additional 30 seconds or so . 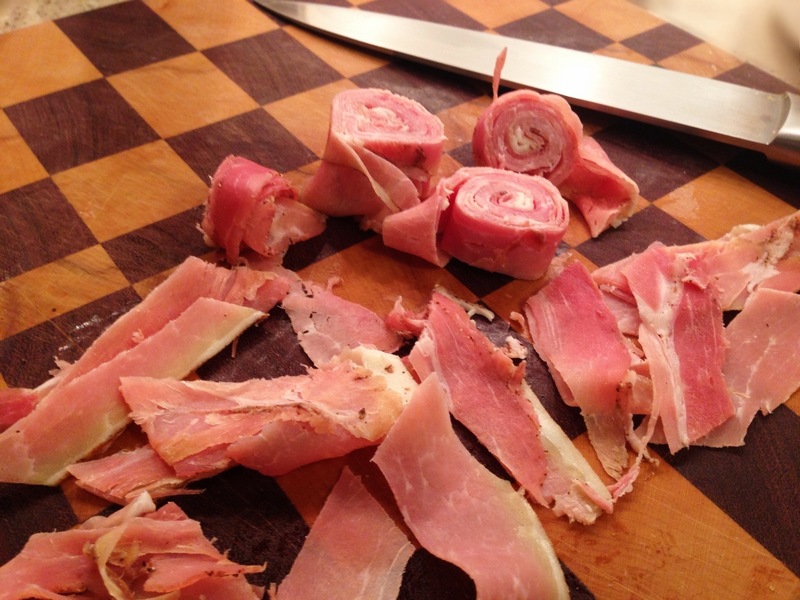 5) Slice prosciutto into thin retangular strips. 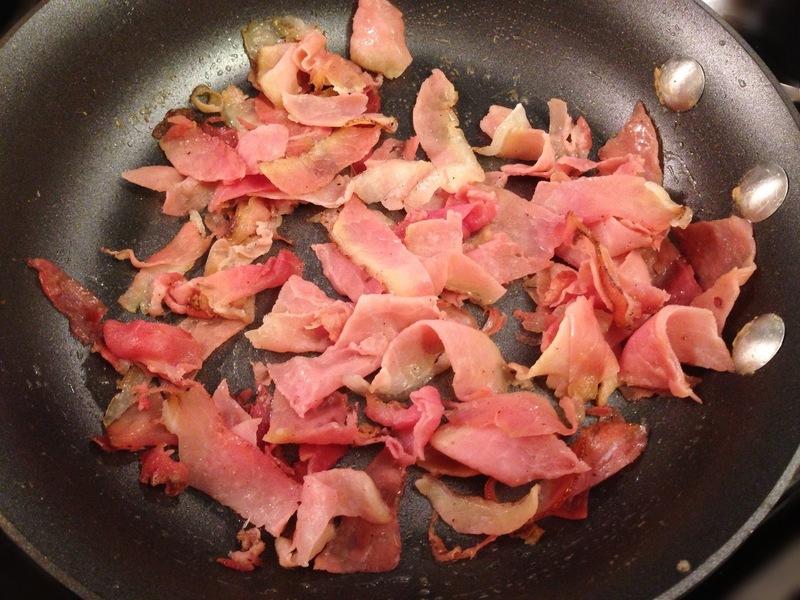 6) Crisp up prosciutto for a few minutes in pan. 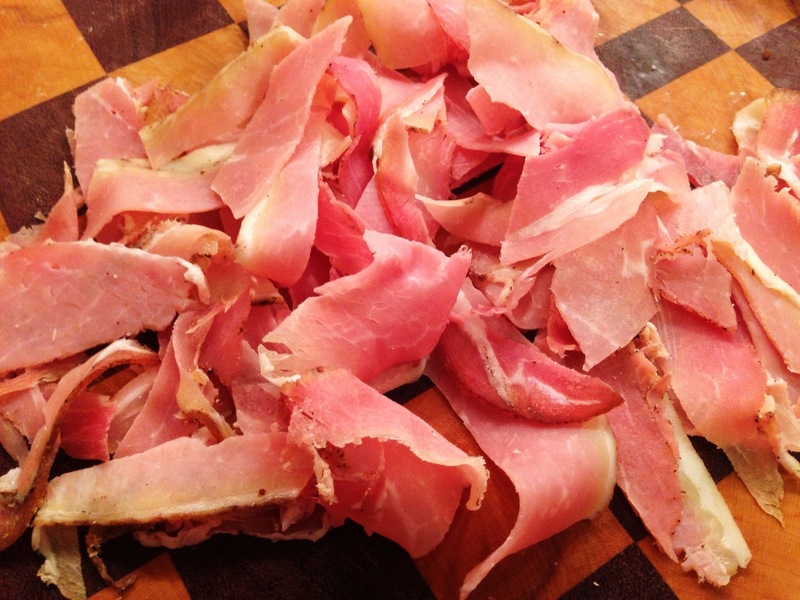 The edges of my prosciutto turned slightly light brown. 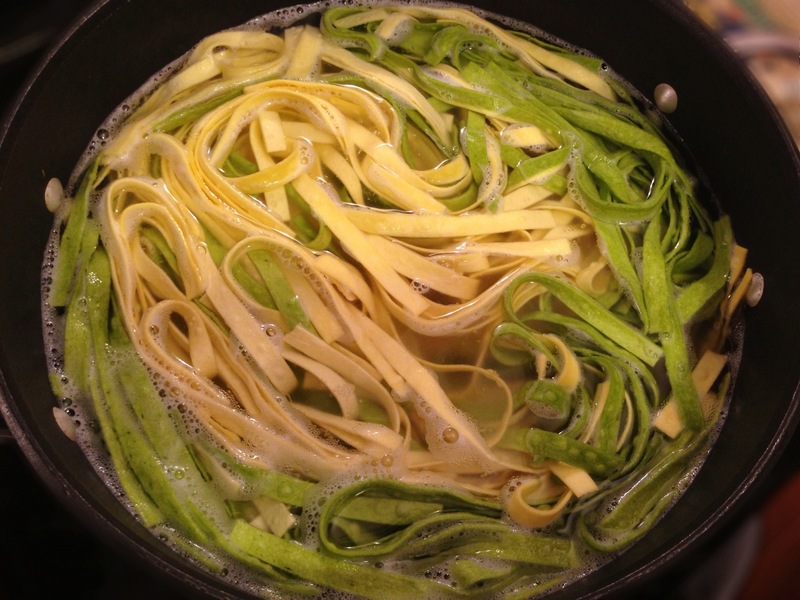 Boil water for pasta and cook pasta according to box directions. 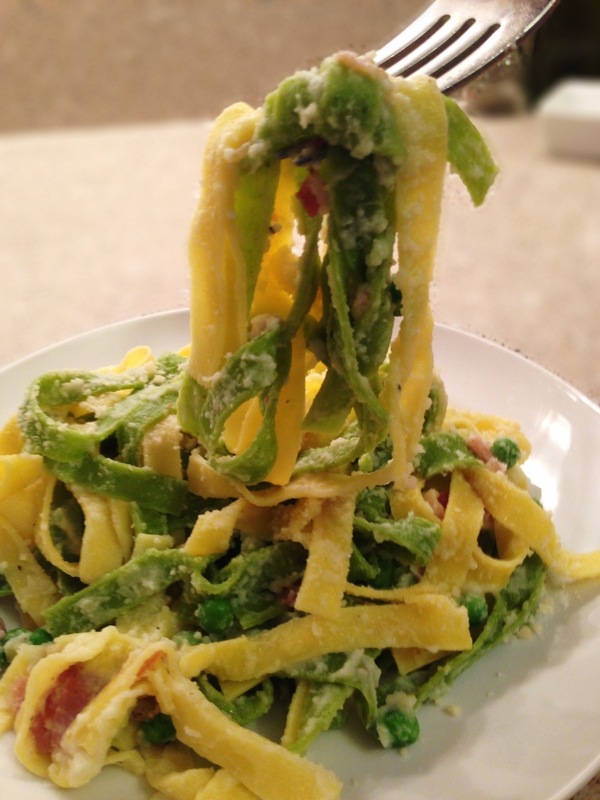 I used fresh pasta that took approx. 2 minutes to cook. Drain pasta. 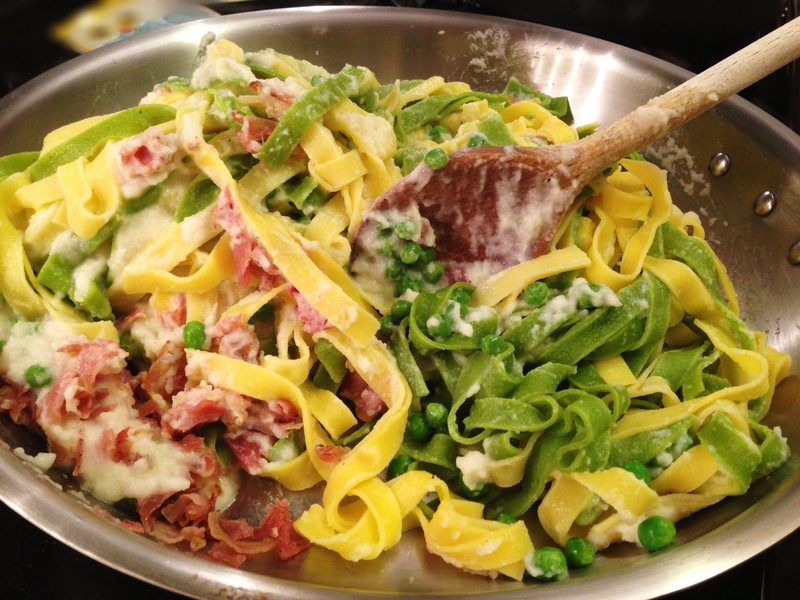 7) Transfer cooked pasta, prosciutto, peas and alfredo sauce to warm pan. Stir to combine ingredients. 8) Top with a sprinkle of parmsean cheese. Bon Appetit! We had plenty of leftover sauce to use for another meal or two this coming week. I may try it with rice or chicken in the future. 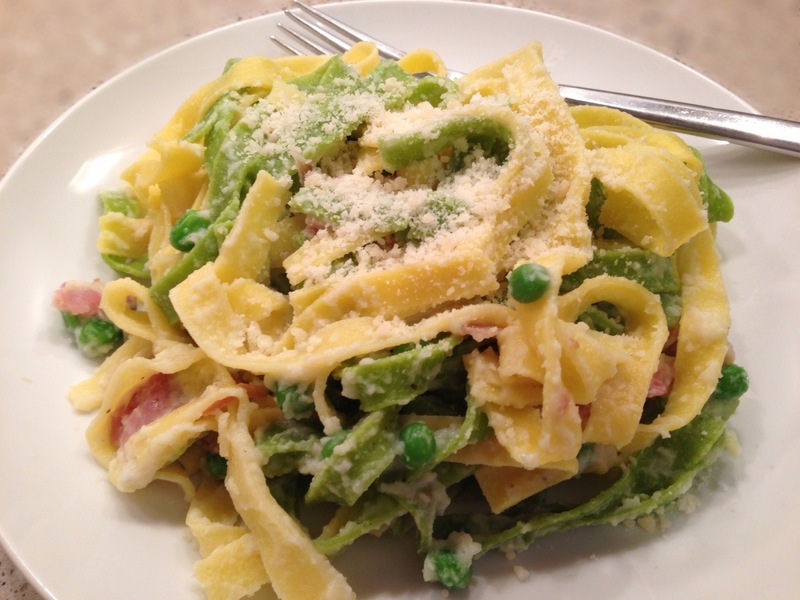 Eat Fit Not Fat- “Alfredo Sauce”- Approx 60 calories per 1/2 cup serving. Hmmm, I wonder if I can convince Mike’s father, who also LOVES alfredo sauce that this is delicious – if so, you are a genius!